What if you’ve had asbestos exposure? 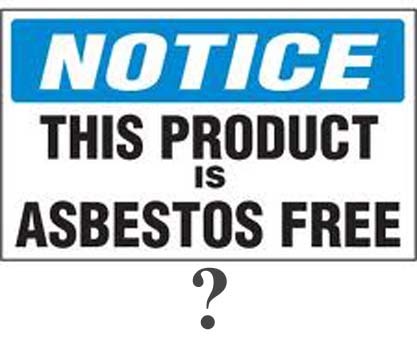 Comments Off on What if you’ve had asbestos exposure? Occasionally (actually, far too often), I hear from a subcontractor who was told by the General Contractor (or owner) there is no asbestos onsite. Then, after they have been working for a month they find out it actually IS asbestos, and they were disturbing it. What do you do? The first thing to do is stop work. Do not try to clean it up. Call an abatement contractor. They will identify the asbestos onsite, clean it up, and provide an airborne clearance test. Next, you will need to provide awareness training (or better, let the abatement company provide it). Ideally this will occur on the day you start back working. Train everyone onsite about asbestos. Finally, you (as the safety manager), need to identify and characterize the exposure to the employees. It should probably be a formal letter written to the owner, general contractor and employees. describe the asbestos. Amount found, locations, type, estimated amount disturbed. describe remedy process and steps taken. Names of GC, owner, abatement company, airborne levels found. Who was trained afterwards. describe how things will change in the future. Here’s a tip: any building before 1985 WILL have a building survey performed for asbestos….in writing. Really, one exposure to asbestos is probably* not enough to contract a disease (asbestosis, or mesothelioma). It will take 15-30 years for symptoms to appear. But, it might be worth the “goodwill” to send affected employees into a occupational health doctor for a check up. The physician will reassure the employee and may provide some comfort. *asbestos is a carcinogen. Greater exposure = greater chance of cancer. no amount is safe.